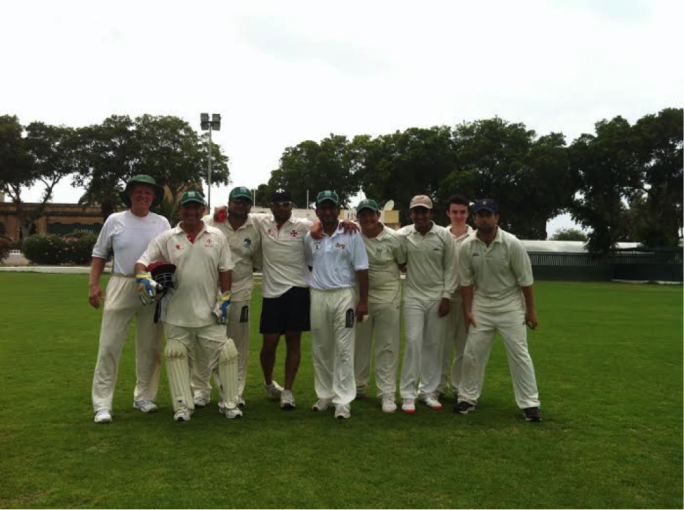 On Saturday the last game of the 40 over Winter league between Melita Betfair C.C and Krishna C.C came to a close. The game was shortened to twenty overs. The Melita team won the toss and elected to bat first. Johhny Grima and Ronnie Sacco opened the innings. After five dot balls Grima opened up and smashed three boundaries but was finally caught by Dave Borg of the bowling of Bikram Arora. Grima made nineteen runs from seventeen balls. Dave Borg was in action again for the fall of Sacco's wicket, this time he was the bowler. Sacco was caught by Andy Lenard after scoring fifteen runs which included two fours. Amit batting at number three was going along steadily until there was a mix up and he ended up run out, he made thirteen runs. 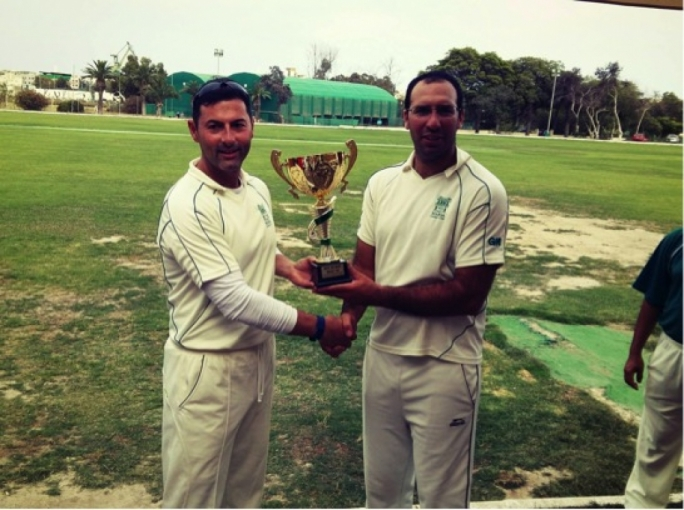 Tony Azzopardi livened up the innings scoring fourteen runs of six balls which included three fours. Unfortunately as he was trying for his fourth four he missed and was bowled by Chandika. 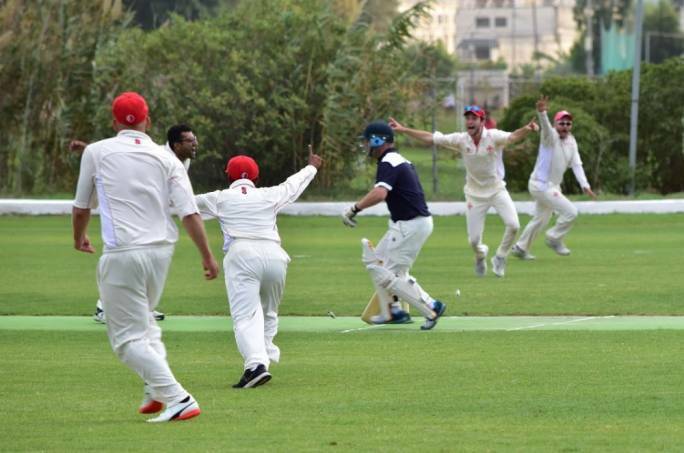 Sunny Krishna followed in Azzopardi's footsteps scoring twenty two runs from fifteen balls before being caught by Marlon of the bowling of Tony Slater. Ian Pendelbury was in and out quite quickly and did not bother the scorers. He was caught by Malcolm Crabbe of the bowling of Prasad Abeysinghe. Sarfraz Ali and Mike Caruana remained not out scoring nineteen runs and eleven runs respectively. The Krishna team used eight bowlers and Prasad was the only one who bowled a maiden. The Melita team scored 129 runs aided with sixteen extras. The Krishna reply started of with a bang with Dave Borg and Marlon taking on the bowlers and putting up a half century partnership before Marlon was bowled by Gordon Hewitt. Marlon scored twenty two runs, Borg went on to make thirty four runs which included a six and three fours, he was bowled by Ronnie Sacco. Malcolm Crabbe followed up their good work and top scored with thirty five runs and eventually holed out to Ronnie Sacco of the bowling of Sunny Krishna. John Rusher played one of his best innings were he defied bowlers his wicket and scored sixteen runs which included a boundary. 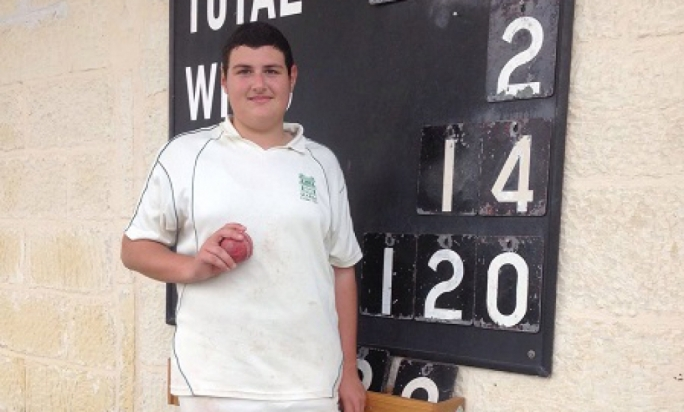 He was bowled on the last ball of the innings by Daniel Galea. Bikram Arora after an absence from the game, and then Robert Krishna both did not make any runs, one was caught by Amit and the other by John Grima, the bowlers were Sunny Krishna who was the only double wicket taker for the day and Mike Caruana. Prasad Abesinghe remained unbeaten on ten runs. The Krishna team aided with six extras totalled 123 runs, losing by six runs. Next Saturday the second game against M/Y Avivva will take place. In the morning the Sunoco cricket Academy/nursery will be from 9:00am till 10:30am.